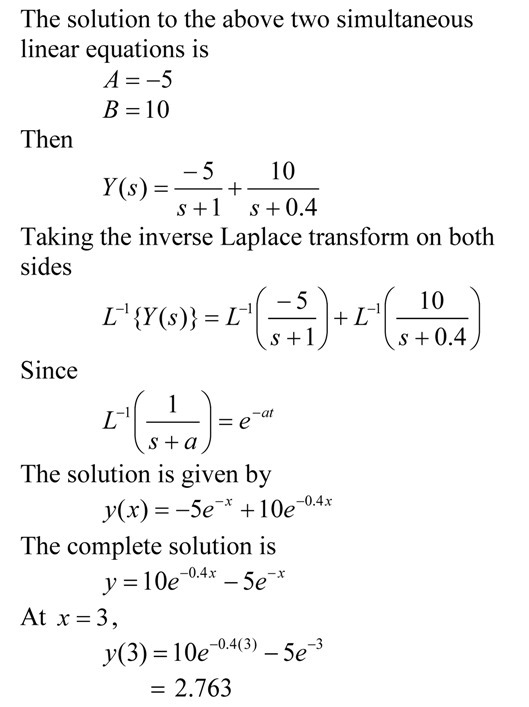 In this blog, I use the Laplace transform technique to find the exact answer to the ODE. In a previous blog, I showed how to find the exact answer to the ODE by the classicial solution technique. Thus an explicit closed-form control for an uncertain, nonlinear, nonautonomous multi-body system that satisfies trajectory control requirements placed on the nominal system (to within pre-specified error bounds), is obtained. An example of a triple pendulum in which there are uncertainties both in the description of its physical parameters and in the description of the gravity field in which it moves is considered. The example demonstrates the simplicity and efficacy of the approach when there are uncertainties both in the description of a dynamical system and in the given forces to which it is subjected.